The classic you know and love shows its softer side in the Birkenstock Arizona Soft Footbed sandal. A true original, this casual sandal has an upper made from smooth, high quality nubuck leather. The signature two wide, adjustable buckle straps allow for a precise fit; the lining is soft against the foot. Additional cushioning adds comfort and a reduced break-in time to the suede-covered Birkenstock footbed. The famous footbed features a contoured design that will conform to your foot over time. The footbed boasts excellent arch support for stability and provides shock absorption to prevent fatigue. The raised toe bar improves grip and encourages a natural walking motion, while the deep heel cup keeps your foot placed directly above the footbed’s natural padding. 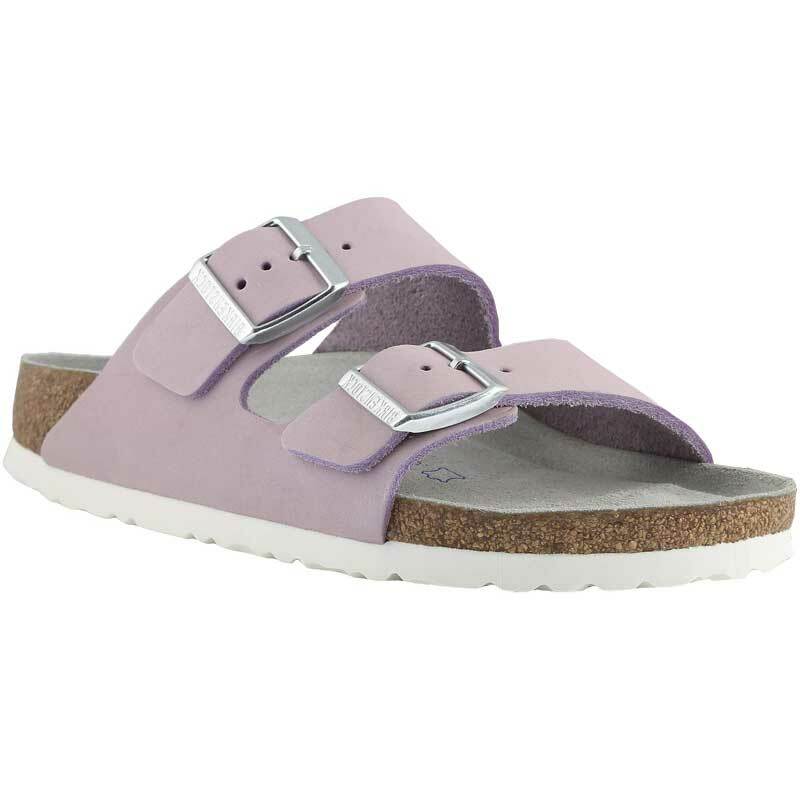 The Birkenstock Arizona Soft Footbed walking sandal is finished with a lightweight, shock-absorbing EVA sole.